I was 10 when we moved from Cardiff to Pembrokeshire. To lessen the trauma of the move our parents got my sister and me our first pets. Carlo, pronounced the Welsh way with a rolled ‘r’, was a smooth-haired, black and tan, Jack Russell terrier. Though he was named in honour of the Prince of Wales, as portrayed in Dafydd Iwan’s eponymous song1, it’s safe to say mam was no Royalist. A stupider dog would be hard to imagine; Carlo would get stuck in fox holes and have to be dug out; he would attack the tyres of the post vans that delivered to our farm, nearly getting run-over daily. On the too-frequent occasions that our turkeys would escape from their shed into the yard, Carlo would bark at them hysterically, sending them flying up to perch on the roof of the farm house and outbuildings. Unless you have seen (and heard) hundreds of 20-30lb turkeys in a flap, gobbling away and scuttling hither and yon, you’ll just have to imagine a Tarantino-esque movie: “Carlo Unchained”, or “Reservoir Turkeys” maybe? No, Carlo wasn’t much of a farm dog but we weren’t much of farmers. Jaco the tabby cat was much more the biz. He would walk the fields at dad’s heel and go down the same fox holes as the dog – but get back out without the help of a team of army engineers or a JCB. Sensing how much mam liked small, dying animals, each morning Jaco would deliver one to the hearth. My aunt owned a Lurcher/Wolfhound cross, called Teddy. In her barn she had on display the tails of over a hundred foxes that Teddy had personally dispatched. One afternoon my grown-up cousins, Dai and Vic, drove into our yard in their beat-up Land-Rover. Jaco was walking across between the outbuildings when Teddy burst out of the Rover and pounded towards the cat. Teddy was a fierce sight – massive, as silent as a sniper, and as fast as a bullet from a gun. Jaco just stood his ground, looked superciliously up at the beast and hissed. Teddy pulled up short. I guess most of his prey ran for it and had their necks broken in those powerful jaws. He didn’t know how to handle Jaco, who waited a short while then carried on across the yard. Carlo met his maker on the main Kidwelly to Llanelli road, in the form of an Eynons double-decker bus. Mam asked me to pick up his dead body and bury it. It was my first real taste of mortality, excepting the deaths of my Nanna and Dicko. I somehow felt Carlo’s loss as much as my grandparents’. I wanted to do it right. Back then one didn’t take the body to a vet for disposal. I dug a hole at the back end of the garden, next to the vegetable patch. It was 3 foot deep. Mam gave me transparent plastic sheeting to wrap him in. I wanted the job done, and done right, before dad got home from work. I saw it as something a man of the house should do. When he got home I gave dad Carlo’s collar and showed him where I had buried the little terrier. He thanked me for a job well done and complimented me on not leaving it for him to do. 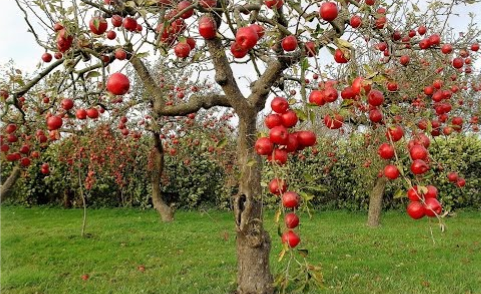 A couple of years later we planted an apple tree over Carlo’s resting place and we got many a delicious apple tart courtesy of the wee chap! Getting and then burying my first pet were important rites of passage and our time in Kidwelly saw a few more take shape. It was in the Gwenllian Court Hotel where I first snogged a girl. Sadly I remember more about the kiss than the girl I kissed, even her name eludes me. But she told me that she’d kept her eyes open and saw that I had closed mine. Forty-three years on I cannot recall if she was complaining or simply observing. A year later and I had my first parentally-sanctioned underage drink. By which I mean the first where my dad had accepted the inevitability of beer flowing at a 16th birthday party (not mine). “Before you go out tonight son you should drink a pint of milk to line your stomach.” I didn’t tell dad and mam that when we’d lived in Pembrokeshire all the local kids, used to congregate at ‘Siop Y Cnwc’. This was the local animal feed stockist, the village shop, the local petrol station, oh yes, and the local off-licence. Aled, the son of the establishment, would sneak out with cans of Mackeson of an evening and the village kids (about 8 of us all in our early teens) would congregate in the old baptismal pool of Mynachlogddu’s Baptist chapel (long since unused) and shoot the breeze. OK, OK. 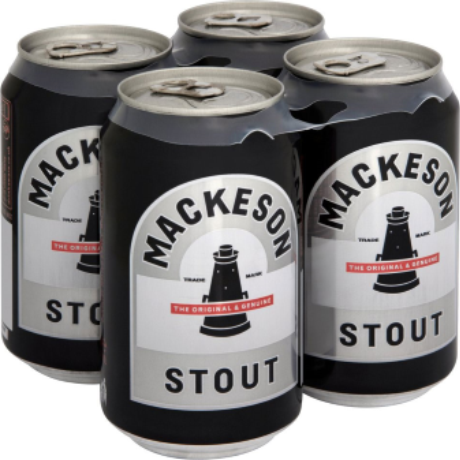 This didn’t happen a lot – for a start there were only so many cans of Mackeson that Aled could grab from the back of the shelf and, I mean, have you ever tasted Mackeson? Eeuw! But it was our little rebellion without a cause. I was in my early teens and still living in Mynachlogddu when I completed another rite of passage, one that was de rigueur for boys back in the 70s – getting in to our local cinema to see an 18+ movie (or ‘X-Rated’ as they used to be called). The cinema was Cardigan’s Pavilion (‘the Pav’) and the movie was a western called ‘Soldier Blue’. The film was violent and I think the three of us who had breezed-in – essentially still boys,pretending to be much older than we were – felt sickened. But the box was ticked, we had seen our first ‘adult’ film. The first musical film I saw was ‘The Sound of Music’. I was 6 and this was back in our Cardiff days. Mam was taking me to see Mary Poppins in a cinema, I think, on City Road. That was the plan. Instead we ended up in a different cinema on Penarth Road watching a different film. I cried because it wasn’t Mary Poppins. But by the time it reached ‘Doh Re Mi” I was captivated and have loved the movie ever since. Even mam, despite my mewling, shed a tear by the time ‘Edelweiss’ came on and the family escaped! It’s not as easy to recall the first cinema film I ever saw. I’ve spent my life swearing blind that it was when my two older cousins Janet and Lyn took me to the Odeon cinema in Queen Street to see Disney’s Jungle Book (which was also a musical now I think about it logically). 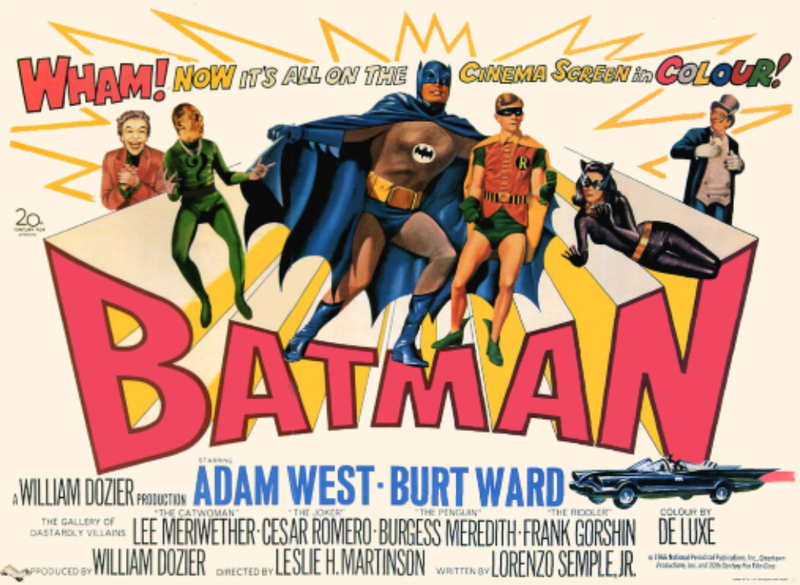 My dad used to insist that he took me to my first movie and that it was the original Batman movie (“Kapow! !”, “Biff!”, “THWOCKK!”). I pooh-poohed this until… Well, until just now, actually. Why I didn’t check with Google before is beyond me. (Perhaps we don’t like to question our own fond remembrance of events for fear that we’ll be proved wanting?) Anyhow, Jungle Book can’t have been my first movie as it wasn’t released until 1967, whereas Batman came out in 1966. So dad was right all along. What other rites of passage have I misremembered? I wonder will my daughter Angharad, who happens to have Down Syndrome, be secure in her memories once we are no longer around to confirm or contradict them? We’ll just have to make them especially memorable for her. First pets. First train, plane and boat rides. Her first school days. First cinema, theatre, opera performances. And, one day, her first boyfriend, dance, kiss, partner and – who knows – child… Our challenge is to help our Girl have as many firsts as her life can absorb. And maybe to help her remember them more accurately than I can my first movie!